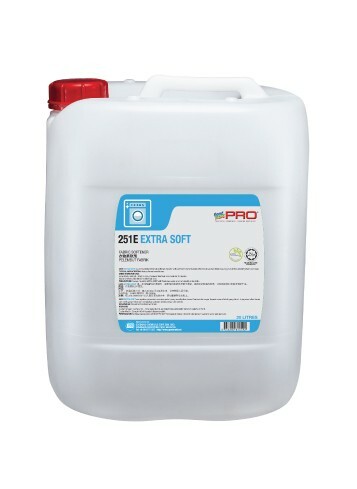 251E Extrasoft - Goodmaid Chemicals Corporation Sdn. Bhd. Highly concentrated liquid fabric softener contains lubricating chemicals to make fabric feel softer, reduce wrinkling and static cling. • Leaves a fresh fragrance and gets superior softening result in the final rinse cycle. • Suitable for commercial and industrial usage.